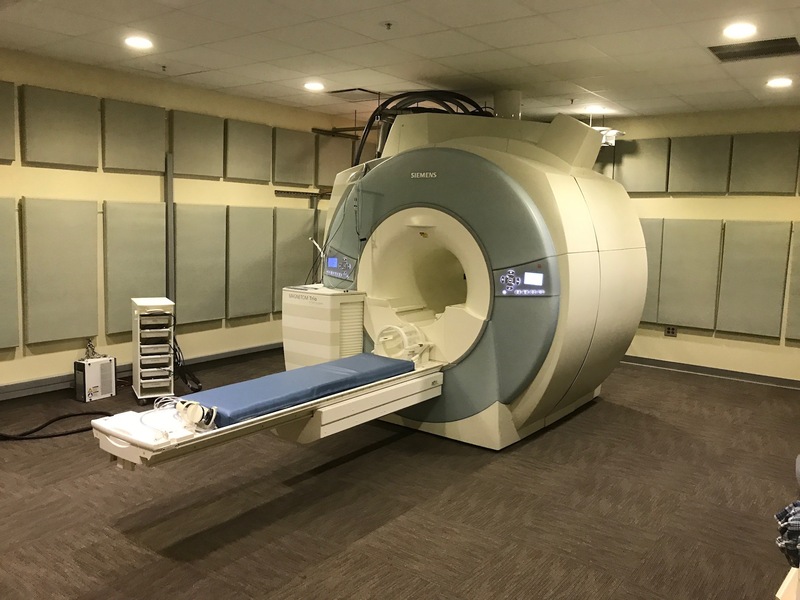 The Brain Imaging Center's MRI facility houses an actively-shielded 3 Tesla Siemens TIM/Trio scanner. The 32-channel console is equipped with 12- and 32-channel receive-only head coils and a custom-made birdcage coil (pictured below). 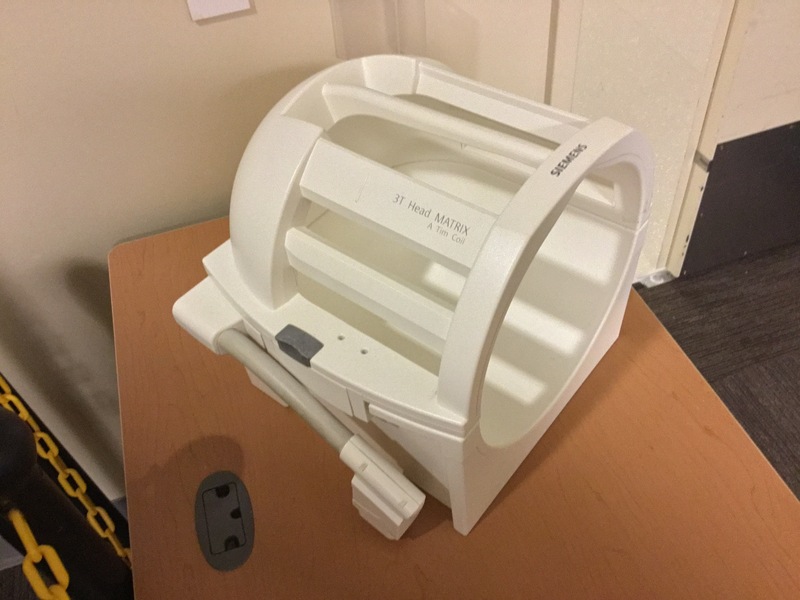 The scanner is capable of high-performance EPI for fMRI, diffusion imaging, perfusion imaging, high resolution anatomical scanning and a wide range of standard clinical sequences. A wide range of stimulus delivery and response equipment for fMRI is interfaced to the scanner. See the Peripheral Equipment page for an overview. The mock scanner, which is actually our decommissioned Varian 4T, allows researchers to acclimate their subjects to being inside an active MRI machine. Audio and visual stimuli can be presented to subjects while they are inside and button boxes are used to record responses in cases where subjects are performing a task. 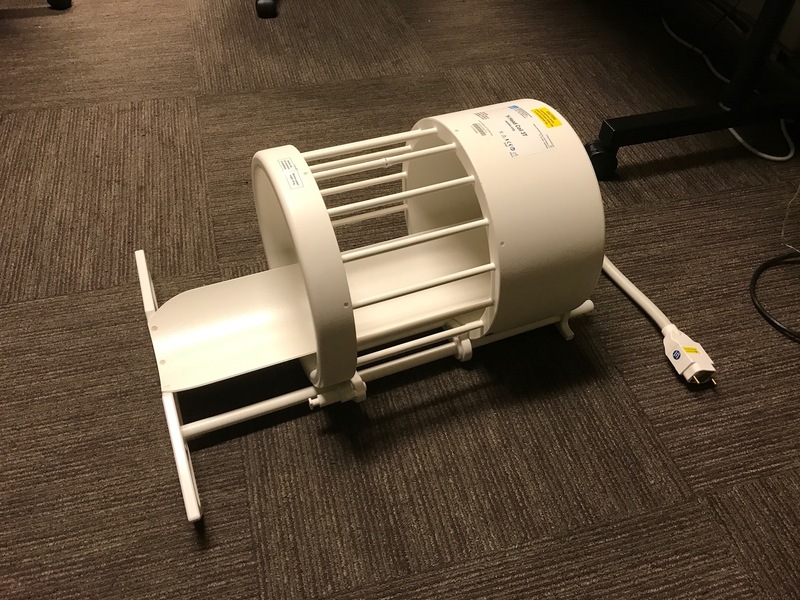 The mock scanner is free and available for use by all researchers. Located adjacent to the 3T suite at the BIC, the TMS lab has been considerably upgraded in the last year. For more information on TMS research at the BIC click here. Upon entering the BIC lobby, subjects are escorted to a separate screening room where they are screened to verify eligibility for an MRI scan, personal belongings can be stored in secure lockers, and any pre-testing or questionnaires are completed here.